Canine parvovirus is a highly contagious virus can cause life-threatening disease with surviving dogs having complications after recovery. The most common signs are severe vomiting and bloody diarrhoea which leads to serious dehydration and potentially death. The virus also causes severe immune suppression and could damage heart muscle leading to life-long heart problems. 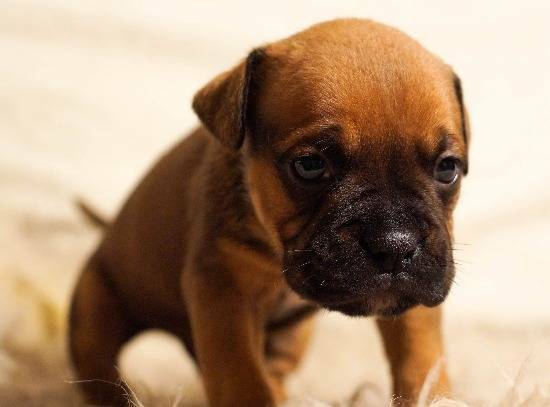 Parvovirus is highly resistant to common cleaning agents and can survive for several months to years in the environment and on objects such as clothes, shoes, toys, food bowls, and bedding. Young dogs and unvaccinated dogs are most vulnerable to the virus. Certain breeds are also more likely to become infected and include Rottweilers, Dobermans Pinschers, Labrador Retrievers, American Staffordshire Terriers and German Shepherds. Canine distemper is a highly fatal virus can affect the respiratory, gastrointestinal and the central nervous systems of the dog, and can also affect the eyes. Dogs can catch canine distemper from direct contact with an infected dog, contact with infected urine, blood or saliva, or through sharing food and water bowls. Early signs of infection may be sneezing, coughing or thick mucus from the eyes and nose. Other signs may also include fever, vomiting, diarrhoea and loss of appetite and lethargy. Dogs that recover from distemper virus infection typically develop neurological symptoms later in their life including seizures, permanent brain or nerve damage. Canine infectious hepatitis is caused by canine adenovirus 1. The virus causes upper respiratory tract infections and affects the major organs, liver and kidney, as well as blood vessels. The disease is spread through direct contact with an infected dog and also contact with body fluids such as nose discharge and urine. Severity of disease depends on the dog's ability to produce a immune response. Infected dogs may die in a few hours from collapse of blood vessels. Most healthy dogs that produce a strong immune response are usually able to fight the virus but may be infectious for several months. Dogs that don't produce a good immune response but survive infection could develop chronic hepatitis and eye complications. Otherwise known as kennel cough or canine infectious tracheobronchitis, Canine Cough is caused by a range of pathogens that affect the upper respiratory tract. Two common canine cough agents are parainfluenza and Bordetella bronchiseptica. Dogs with canine cough typically have a persistent, dry honking cough often followed by gagging and bringing up white frothy saliva. Some dogs may also develop sneezing, a runny nose or weepy eyes. Affected dogs generally are still happy and continue to have a good appetite. The disease is highly contagious and is spread through direct contact with infected dogs but can also be spread by sharing water bowls. Most dogs will recover in a few weeks without any treatment required. Older dogs or dogs with other medical conditions may take longer to recover or could develop pneumonia and will need to seek medical treatment.